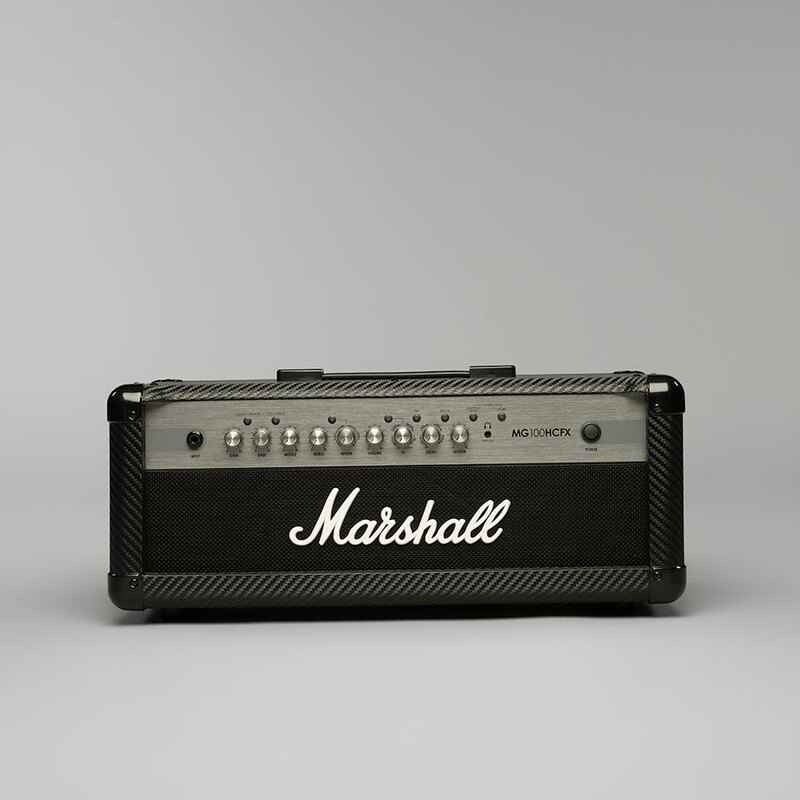 The Marshall MG100HCFX puts 100 watts of Marshall sound plus effects and footswitchable control into a head amp. 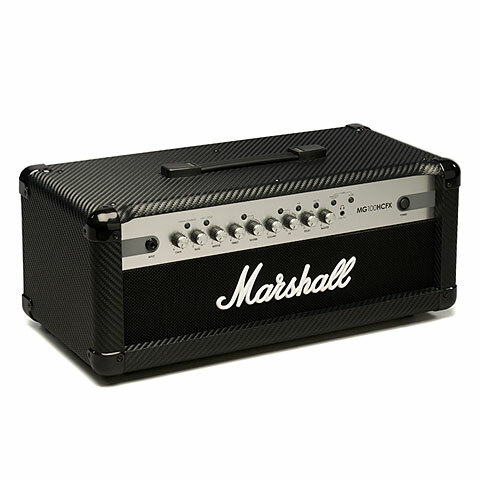 The 100-watt MG100HCFX head includes four switchable channels,a 3-band EQ, a 2-button footswitch, power-amp damping, a switchable effects loop, and a line-in for music players. 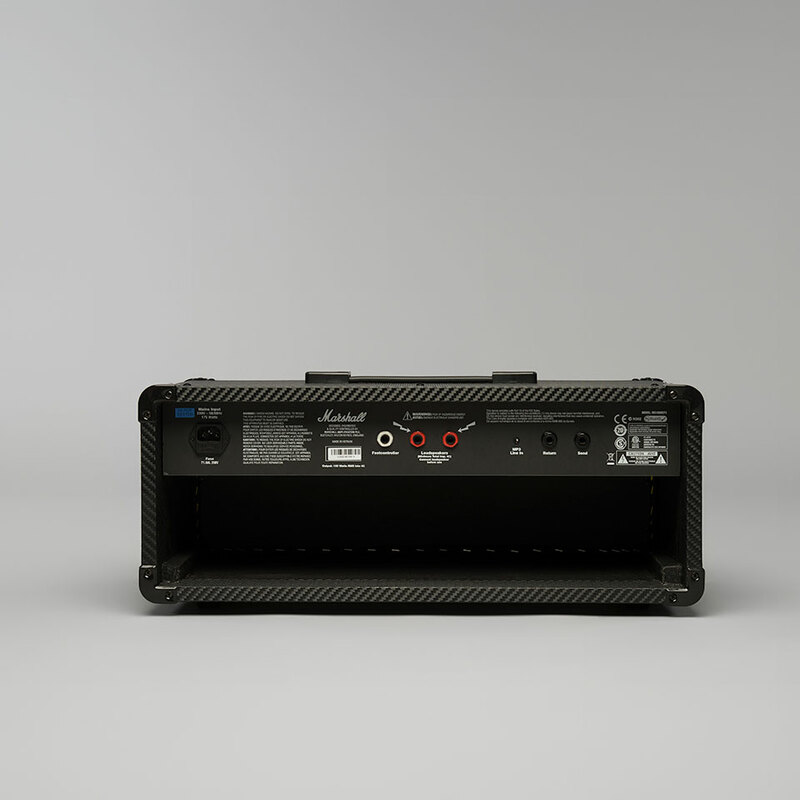 This amp is excellent at emulating the response and sound of a tube amp, and it works great for live and studio applications alike. Speaker-emulating headphone and line outputs. 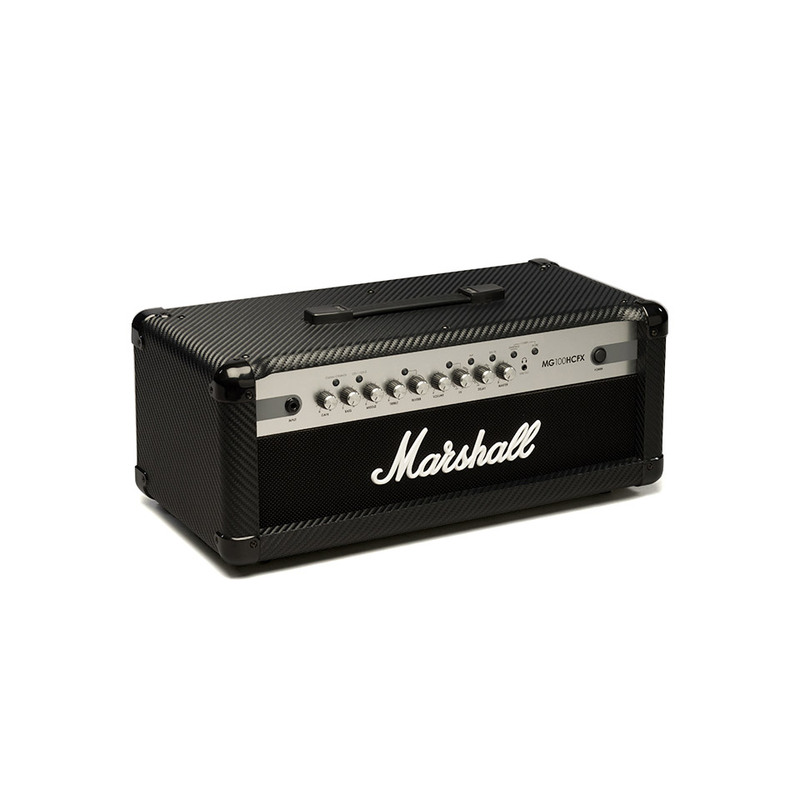 The four channel Marshall MG100HCFX features clean, crunch, OD1, and high-gain OD2 channels. 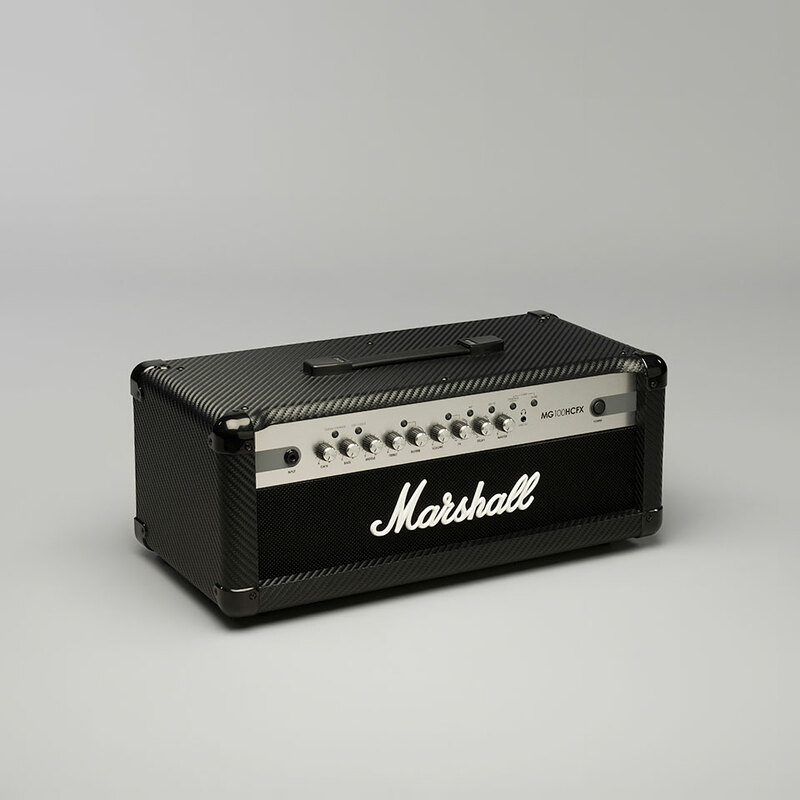 Mix them with the speaker-damping function and digital effects to create killer tone. 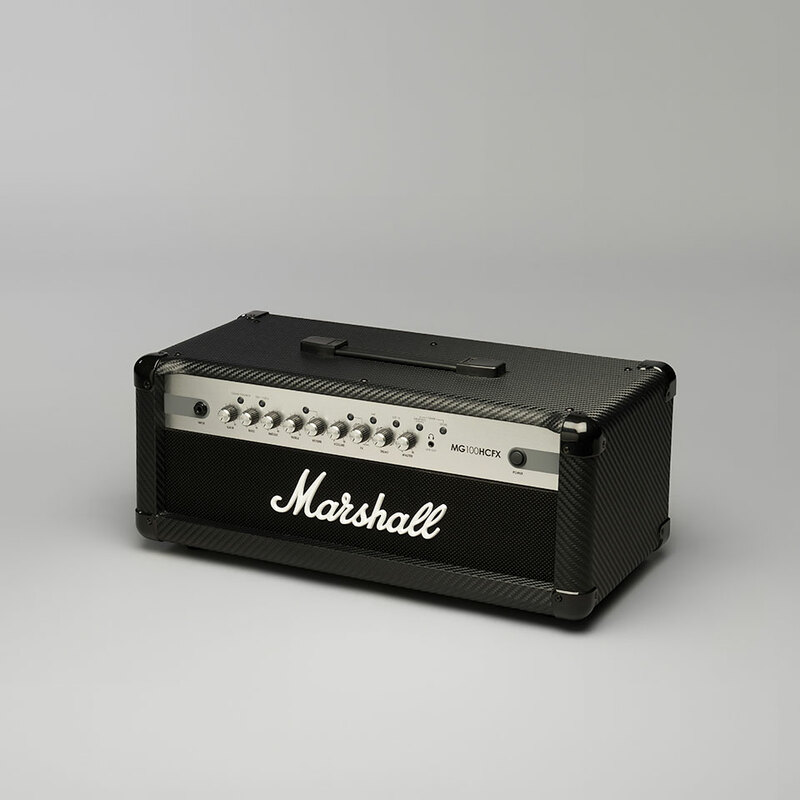 Combining analog tone circuitry and Marshall's FDD Frequency Dependent Damping technology, the MG100HCFX head provides authentic Marshall sound and feel.